One of my favorite things about being a parent is sharing the experiences I had growing up with my daughter. My dad loved movies and he loved taking my sisters and I to see them. In the 70’s there weren’t huge megaplexes; the closest theatre was 20 minutes away and it showed two movies. While Hollywood released new movies, they didn’t have the inventory of family films they have now, so it was a common practice to re-release family movies. The Walt Disney Studios released its films every seven years. So, growing up we saw lots of films from the 60’s. The 1960’s should not be overlooked when exposing your kids to the classics. It was a great decade for family films! I have two words – Mary Poppins. Enough said. Big Red – Big Red is a gorgeous Irish Setter being trained to be a show dog. However, Big Red’s unruly ways make it difficult for his owner to get him under control. Chitty Chitty Bang Bang – One of my all-time favorite movies, this is the story of widowed inventor Caratacous Potts, his children Jemima and Jeremy, and candy heiress Truly Scrumptious. When Potts invents a flying car, he tells his Truly and his children the story of evil Baron Bomburst who is out to steal his invention. Flipper– 12-year-old Sandy Ricks who lives in the Florida Keys comes across a dolphin who has been pierced by a harpoon. Ricks saves the dolphin then cares for it until it regains its health, naming it Flipper. Mary Poppins– Another one of my all-time favorite movies, Mary Poppins is the story of the magical nanny who mysteriously shows up one day to help the Banks family. Julie Andrews won an Oscar for her role as the supercalifragilisticexpialidotious nanny. One Hundred and One Dalmatians – This beloved Disney cartoon stars one of the best villains around, Cruella De Vil. When Cruella abducts a litter of Dalmatian puppies to make a fur coat, the animal community goes on high alert to help save the captured pups. Pippi Longstocking – Red headed Pippi moves into her father’s home, Villa Villekulla, and befriends neighbors Tommy and Annika. The three try to save Pippi’s fortune from being stolen by thieves. Pollyanna – Young orphan Pollyanna keeps a positive attitude through life’s trials, however her positive outlook is challenged when she moves in with her unpopular aunt. That Darn Cat – Patti and Ingrid Randall have their hands full with their troublemaking Siamese cat, D.C. When D.C. gets involved in a missing persons case, the sisters contact the FBI. The Absent Minded Professor– When an inventor discovers a flying rubber he calls, flubber, the substance not only makes his car fly, but helps the college basketball team win, causing crooks to want to get their hands on the substance. The Incredible Journey – When two dogs and a cat are left with a friend for the summer, they become so homesick they embark on a 250 mile journey to get back home. The Jungle Book– This animated classic is the story of Mowgli, an abandoned child raised by wolves. When tiger Shere Khan returns to the forest with Mowgli in his sights, the child must leave his adopted family and fend for himself, with some help from some new friends along the way. The Love Bug – This white Volkswagen Beetle has a mind of its own, as race car driver Jim Douglas and his mechanic Tennessee Steinmetz quickly find out. The car, known as Herbie, becomes a favorite on the California racing circuit. The Parent Trap – Before Lindsay Lohan, there was Hayley Mills who plays identical twins separated at birth by their parents’ divorce. When they are reunited years later at summer camp, they conspire to get their parents back together. Yours, Mine and Ours – Can’t go wrong with a movie starring Henry Fonda and Lucille Ball as widowed parents who fall in love and combine their families, his 10 kids and her eight. What was your favorite film from this decade? 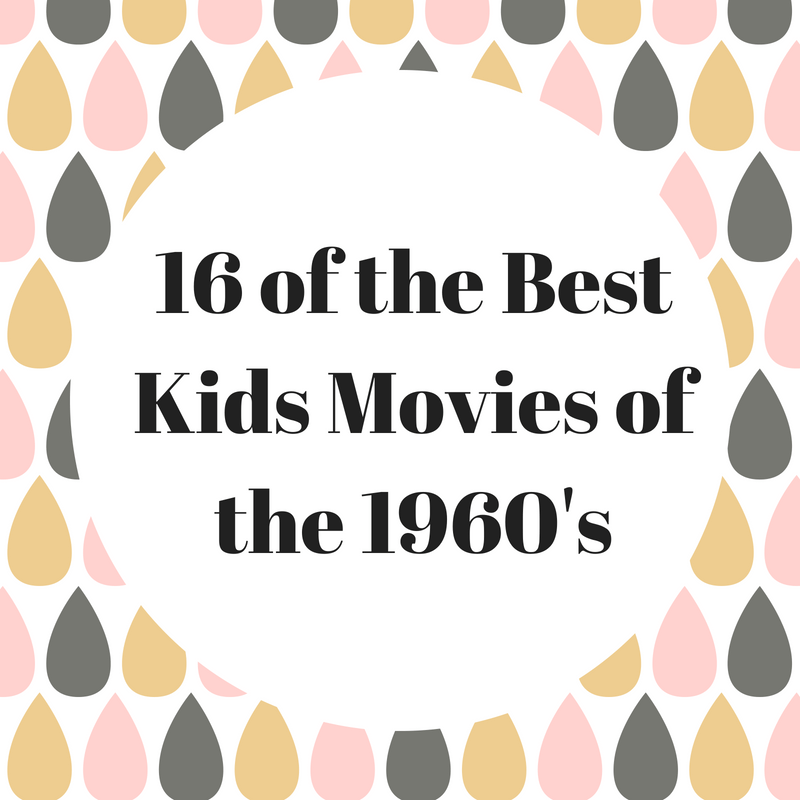 Be sure to check out my other lists including Best Kids Movies of the 1970’s and Best Kids Movies of the 1980’s.